One of major fuels for this fire has been second growth Ponderosa pine1. 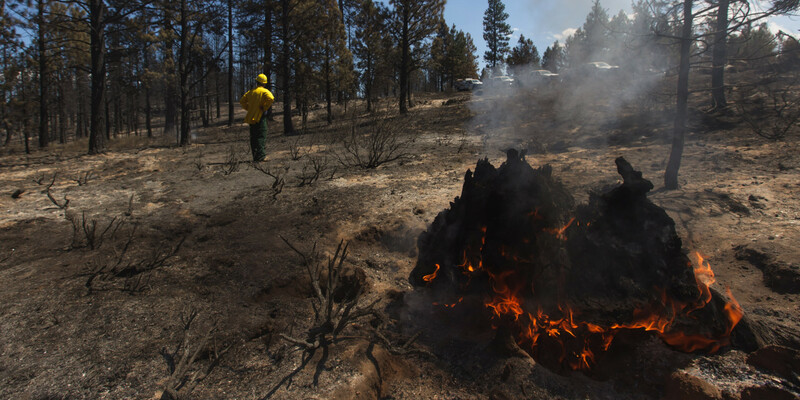 Paul Ries with Oregon Department of Forestry drove me approximately 7 miles south of Sisters in Central Oregon to see firsthand the aftermath of Rooster Rock Fire. Currently the fire is 6,134 acres and is 50% contained.